KUALA LUMPUR: The Government has been urged to give the Opposition leader the same status, and entitlements at least equal to the Cabinet Ministers. Pro-Pakatan think tank Political Studies for Change (KPRU) said that the Prime Minister Datuk Seri Najib Tun Razak should emulate the Selangor’s state government which recently upgraded the allowances of its state opposition leader. 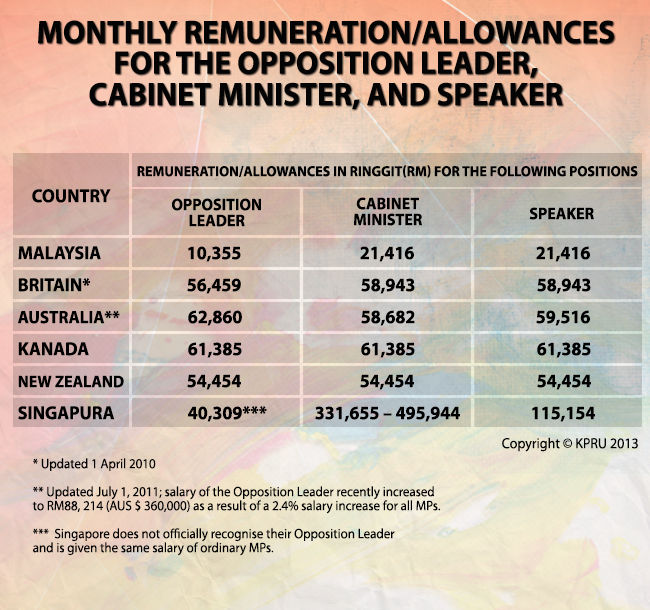 “As a country that practices the Wesminster system of democracy like other Commonwealth countries, there should be greater recognition offered to the position of an Opposition leader in Malaysia in the form of remunerations and allowances,” said KPRU executive director Ooi Heng. Ooi suggested that Najib should table such an announcement in the Oct 25 Budget 2014. On October 9, the Pakatan Rakyat Selangor state government approved special allowances and privileges amounting to RM8,620 per month to the Opposition Leader of the Selangr State Legislative Assembly in accordance with Section 5 of the Members of the Administration and Members of Legislative Assembly (Remuneration) Act 1980. Ooi said that what the Selangor government did was a “significant milestone” to strengthen parliamentary democracy in Malaysia. KPRU also suggested that that the office of the Opposition Leader should receive allocation for the purpose of employing staffs such as researchers, press officers, executive assistants and so forth to manage with different tasks and affairs in Parliament. You are invited to a Parliamentary Talk co-organised by think tank Political Studies for Change (KPRU) and KEADILAN Trade and Investment Bureau. Venue: Bilik Taklimat, Level 2, Main Block, Parliament. Khor Yu Leng is a political economist and graduate of Oxford University and the London School of Economics. First working in the financial sector, she is now an independent analyst, working on customized research and qualitative analysis reports for global corporate clients. She is a specialist in market research, resource-based industries, frontier markets, political-economy, sustainability and risk. Yu Leng is also Visiting Research Fellow at the Institute of Southeast Asian Studies, Singapore. 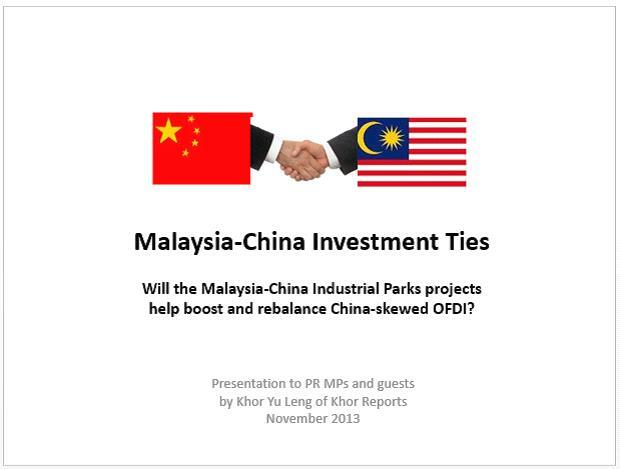 “ISEAS Perspective: The Significance of China-Malaysia Industrial Parks“ was issued 17 Jun 2013 and she is currently working on a co-author academic article on Malaysia-China investment ties. Yu Leng has been interviewed or cited by international media including the Financial Times, Bloomberg, Wall Street Journal, BBC News and Al Jazeera.